Combined, these two localities originally had a population of around 15,000. However, these numbers have been substantially reduced over the course of the war. There is another locality of note in the area still under rebel control: Mughir al-Mir, originally a Druze village. But Mughir al-Mir has been devoid of its original inhabitants for 4 years, as they fled from the rebels. Currently, these localities under rebel control are now under assault by Syrian government forces, a campaign that began in September 2017. The context for the assault is that the Syrian government had been attempting to pressure rebel-held localities in the southwestern Damascus countryside near Mt. Hermon to agree to 'reconciliation': an arrangement that brings areas back under government control without full-scale military operations. Several localities- Kafr Hawr, Beit Tayma, Beit Saber, Hasano and Sa'sa'- agreed to 'reconciliation' in January 2017, whereas Beit Jann and Mazra'at Beit Jann rejected it and continue to do so. For context, note that Sa'sa' is home to branch 220 of the military intelligence. On the government side, the two main forces involved in the operations to retake Beit Jann and Mazra'at Beit Jann are the 7th and 4th divisions of the Syrian army. The high elevation is an important factor in making any assault a difficult fight. The coming winter will also be an impediment to operations. Thus, there are no expectations that Beit Jann and Mazra'at Beit Jann will come back under government control in the near future. Yet it is likely that a return to government control will be the eventual outcome. 4th Division contact in the Derbel area near Mazra'at Beit Jann. Photo uploaded in early October 2017. Fearing the prospect of a total siege and assault, many residents of Beit Jann and Mazra'at Beit Jann fled in advance to the localities in the area that had come under 'reconciliation'. According to one rebel fighter from Liwa al-Izz (Saif al-Sham Brigades affiliate) who came to the Beit Jann area to provide support to the rebels, there still appears to be an open route to Beit Saber, meaning that there is not yet a total siege on the rebel-held areas. Further to the south in the Quneitra area, rebel forces led by the jihadist group Hay'at Tahrir al-Sham under the Jaysh Muhammad operations room have launched an initiative to try to provide relief to Beit Jann and Mazra'at Beit Jann, attacking government-held positions in the vicinity of the Druze locality of Hadr on the border with the occupied Golan Heights. These attacks have provoked a wider Druze mobilization to defend Hadr, including from the third-way Rijal al-Karama movement. Israel, for its part, has publicly affirmed its commitment to prevent Hadr from falling to the rebels, in response to local Druze anger in the occupied Golan Heights about the rebel offensive, though it should be noted that this commitment was long-standing Israeli policy anyway in deference to Druze concerns. In March 2017, a joint operations room was set up under the name of the Union of Forces for Jabal al-Sheikh, but according to the Liwa al-Izz fighter, neither Hay'at Tahrir al-Sham nor Harakat Shuhada' al-Sham al-Islamiya (said to be linked to the Muslim Brotherhood) operates within it militarily, despite the self-description of the Union of Forces for Jabal al-Sheikh as an "organizational military framework bringing together all the factions operating in the liberated villages of Jabal al-Sheikh" and Hay'at Tahrir al-Sham's Iba' News Agency's reporting on its activities. In May 2017, the factions listed above, together with the councils of Beit Jann and Mazra'at Beit Jann, agreed to the formation of a supposedly independent judicial court, some of whose rulings have been put out under the name of the Shari'i Committee for the Union of Forces for Jabal al-Sheikh. Hardline religious and factional influence on this court can be seen through a case in May 2017 involving one Abu Riyadh Othman. This individual was accused of meeting officers of the Sa'sa' military intelligence branch and the governor of Damascus countryside province, as well as pressuring individuals to 'reconcile'. In addition, he was accused of blasphemy. Information regarding the case was referred to six judges to recommend the appropriate punishments. Among those judges were Abd al-Razzaq al-Mahdi, Abdullah al-Muheiseni and Ibrahim Shasho. Abd al-Razzaq al-Mahdi- a jihadist cleric who indulges in harsh anti-Shi'a sectarian rhetoric- had initially been involved in Hay'at Tahrir al-Sham, but resigned in March 2017, while the Saudi Abdullah al-Muheiseni was still involved in Hay'at Tahrir al-Sham in May 2017. Ibrahim Shasho was involved in Ahrar al-Sham at that time, but resigned the following month over the group's decision to adopt the Unified Arab Code in its courts. In this case, the region's exceptional circumstances and defendant's health condition were deemed to be mitigating factors. Thus, while the punishment of blasphemy would ordinarily be repentance and a reprimand of 100 lashes, Abd al-Razzaq al-Mahdi pointed out the lashes should be done in stages. Likewise, the death penalty would ordinarily be applied for collaboration with the enemy, but instead it was decided to confiscate his weapons, reprimand him with a fine of 1,500,000 Syrian pounds (rather than imprisonment and flogging, on account of the difficulty of long-term imprisonment and his health condition), and bar him from returning to rebel-held areas for a year. Furthermore, the court required him to repent, admit to his crime and pledge to stop connecting with anyone working with the Syrian government. Abd al-Razzaq al-Mahdi's influence on the court also becomes apparent from a judicial case in June 2017, as well as a publication on blasphemy that was produced under his supervision and distributed in the rebel-held areas of Jabal al-Sheikh. A judicial case involving the death penalty emerges from August 2017, when a statement was issued on a case of people detained for supposed sorcery. The accused were also said to be collaborating with the Sa'sa' branch of the military intelligence. It was thus decided to kill the accused "for they had fallen into two of the nullifiers of Islam: the first of them sorcery, the second supporting the mushrikeen [idolators] against the Muslims." The concept of 'nullifiers of Islam' derives from Muhammad bin Abd al-Wahhab, founder of the Wahhabi trend in Sunni Islam. Output of statements in the name of the Shari'i Committee suggests that despite the overall rejection of 'reconciliation' in Beit Jann and Mazra'at Beit Jann, there are people in those areas who have been trying to work towards that outcome and/or undermine rebel control from within. In a statement released in August 2017, the Shari'i Committee warned that "there have been repeated cases of collaboration and espionage in the past time" and urged those who have collaborated with the government and those whom the government has attempted to recruit for that purpose to hurry to repent. In an earlier statement from late May 2017, the Shari'i Committee warned people in the Mazra'at Beit Jann area against affiliation with a formation called "the Hermon Regiment" (Fawj al-Hermon) that was set up as a pro-government force for the Jabal al-Sheikh area. Clearly, some people in Beit Jann and Mazra'at Beit Jann have been working with the Hermon Regiment to sabotage rebel control from within. One specific judicial case concerns that of a certain Lu'ay Othman, accused of taking a salary from Fawj al-Hermon without declaring an affiliation with it, in addition to participating with members of his family in attacks on the rebels. As punishment, Lu'ay was sentenced to prison for a month (including time already spent in detention) with a promise to end contact with Fawj al-Hermon and the government on release, with the punishment to be increased in severity should he engage in these behaviour again. 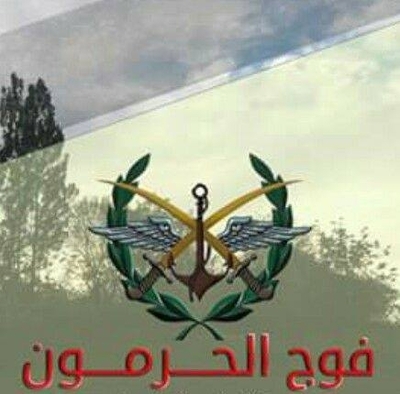 The Hermon Regiment was created following the 'reconciliation' of multiple localities in the Jabal al-Sheikh area at the beginning of 2017. Its ranks are primarily composed of former rebels. 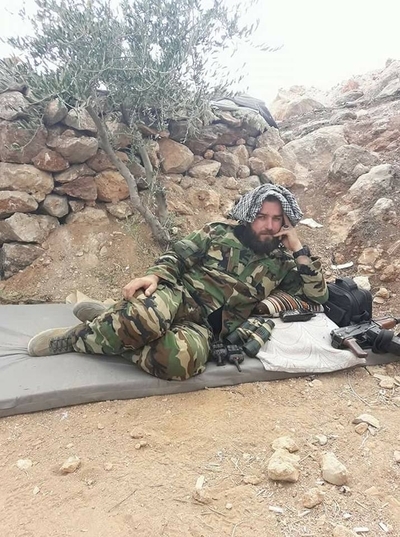 I was recently able to interview the leader of the Hermon Regiment: Ziyad al-Safadi, who was originally a local military commander in the Damascus area rebel group called the Islamic Union for the Soldiers of al-Sham. Below is a slightly condensed and edited transcript of the interview, which was conducted over multiple days at the end of October 2017. Emblem of the Hermon Regiment. Q: Firstly, may I ask when was the regiment formed and with whom is it affiliated exactly (e.g. al-Amn al-Askari [the military intelligence])? Q: What's the aim of the formation? Is it a holding force in the land of Jabal al-Sheikh? A: The formation's aim is [in the context of] the reconciliations in the area and the presence of youth bearing arms who were previously against the state. These arms have to be organized firstly. Second, the villages of the reconciliation have to be protected from the attack of the insurgents. Also there is the issue of the presence of the Zionist entity [Israel] near these villages, so the regiment should be considered as a resistance line before this entity. So you ca consider it as a popular resistance against the Zionist entity. Q: Yes, true. Currently in which villages is the regiment present? A: Kafr Hawr, Beit Tayma, Beit Saber, Hasano and Sa'sa'. Q: So all the members of the regiment are from these villages. A: Exactly. There is a very small number from Jadida Artuz and other places by virtue of their presence in our areas before the reconciliation. Q: And all members of the regiment were insurgents previously? Q: May I ask from which formations they were? For example were they in the so-called FSA or Ahrar al-Sham etc. Q: As for Jabhat al-Nusra [now Hay'at Tahrir al-Sham], no one from this group is in the Hermon Regiment? Q: You yourself were an insurgent before you became leader of the Hermon Regiment? A: Yes, I was an oppositionist, but after the facts became clear and that there is this conspiracy devised against my beloved country, it became necessary to wake up. So I adopted the decision to reconcile and through it defied every beneficiary of the destruction of the country and I ended up with the reconciliation of 1200 fighters. Q: May I ask in which formation you were? A: The Islamic Union for the Soldiers of al-Sham. Q: I see. And in which village are you exactly? Q: May I ask a little about these villages? For example how many inhabitants are in these villages and who are the biggest clans? A: Each village has between 5000-7000 inhabitants. There are no clans in these villages, but rather families, like the al-Safadi family, al-Hasawiya, Ghayadh, Idris, Rajeh and Ghazi. Q: I see. What are the conditions of the reconciliations in these villages? And who was responsible for the negotiations on the Syrian government side? 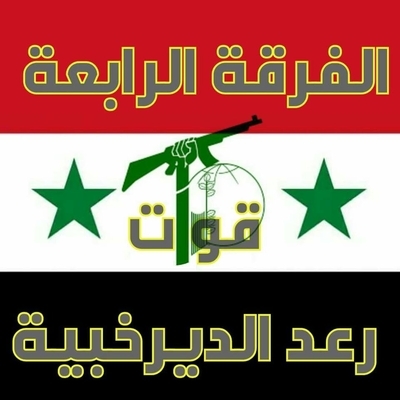 A: The conditions of reconciliation are: organizing light arms and leaving them with the fighters, forming a regiment whose mission is to protect the villages from the entry of insurgents into them and a resistance line before the project of the Zionist entity, discontinuing the search for all those wanted in the villages, issuing security cards for al fighters, opening the roads and allowing the entry of all goods of relief, commodities, building etc., the return of separated employees to their jobs, the release of all detainees of the area, and other conditions. But regrettably until now nothing from these promises has been implemented, and we are hoping for them to be implemented soon: except of course that the regiment is present within the villages of reconciliation. As for the one who undertook the reconciliation from the side of the state: Madame Kinana Hawija, the well-known media person. Q: So no aid has entered the villages? And no one left the villages towards Idlib? A: No aid has entered, not even one basket. A small number left for Idlib, but they are not from the people of the area. Q: There are no national grid electricity and other services in your villages? A: The electricity wasn't cut off from our villages, even previously, because the lines were passing through to Quneitra province through our lands. Q: I see. But have the electricity services not improved since the reconciliation? A: They have improved after the army's advance in Deir az-Zor. Q: Yes, because they have seized the oil and gas fields. Q: Before the reconciliation were there so-called local councils in your villages? If there were, have these councils remained after the reconciliation? Q: You mean not supported by the external opposition. And these councils were dissolved? A: Yes not supported by the opposition. After the reconciliation they were dissolved. And we have formed services committees to track matters of services in our villages in coordination with the security apparatuses. Q: And how are other services? Are the schools open for example? A: They also were not closed and remained operative during the past period. For your information, we did not allow anyone to infringe on the public facilities and they remained operative and under our supervision. Q: Yes. The Hermon Regiment is the only formation present in your villages? Does the army not enter the villages? A: We have let the army enter some of the surrounding hills as it wished, but as for inside the villages, it has not entered, but the door is open for the army to enter when it wishes. Q: I see. But currently only the Hermon Regiment is present in the villages? Q: How is the security situation in the villages? In other localities under reconciliation like al-Sanamayn there are many problems with thieves and crimes because all the armed groups remained as they were before the reconciliation. A: The security situation with us is very good and there is no security penetration. Q: If someone joins the Hermon Regiment, does he have to do taswiyat al-wad' [sorting out affairs]**? And what are the conditions of taswiyat al-wad' exactly? A: Of course he has to do taswiyat al-wad', but currently there is no door for joining for sufficiency has been attained with the current number of 1200. Whoever wants to do taswiyat al-wad', we inform the branch [of military intelligence] and sort out the matter, but the process is very slow. Q: The person who undertakes taswiyat al-wad' and joins the Hermon Regiment: it's not necessary for him to serve in the Syrian Arab Army for compulsory service and reserve service? A: This is one of the terms of the reconciliation but until now this matter hasn't been sorted out and there are promises that the recruiting branch will come and organize the fighters in an official sense and regard it as service. These are promises from 9 months ago till now. Q: You mean that according to the promises, if someone joins the Hermon Regiment, this is tantamount to military service? A: According to the promises, whoever is in the regiment now, it has to be considered as military service, but till now the matter has not been sorted out. These are just promises. Q: I see, so the state of those who have joined until now has not been clarified on the ground. A: Exactly. As I told you before, we are a regiment established on the ground and affiliated with the military intelligence branch. Our ambushes and points are established on the ground and are considered a first defensive line in the face of the insurgents and Jabhat al-Nusra towards Beit Jann and Mazra'at Beit Jann but until now we have been promised the implementation of the terms of the reconciliation that have not yet been implemented. Q: I see. The Hermon Regiment is not participating in the Beit Jann assault operations. A: There are contingents participating but the majority of the regiment and the largest number are at firm points and ambushes in the face of the armed men. Note: among the terms of the reconciliation is that we should not participate in the assault on Beit Jann and Mazra'at Beit Jann because of the relations between us and their people but we block any insurgent from assaulting or entering our areas. Q: I see. So the main role is a defensive line. A: In the area, yes. Q: Which groups are leading the assault operations? Is it the 4th Division? A: The 4th Division is not assaulting now, but rather the 7th Division. Q: So the 4th Division withdrew from the assault operations? Q: Why does Beit Jann still reject reconciliation? A: For a number of reasons, but when I address one of them to reconcile, he says to me: what has reconciliation offered you for us to reconcile? Until now you have not obtained anything you were promised. And of course there is clear intervention by the Zionist entity in the area. Q: Yes. The Zionist entity does not want reconciliation in the area, fearing the presence of Hezbollah in the area. A: I have no information. Q: Is the presence of Jabhat al-Nusra in Beit Jann an important reason for the rejection of reconciliation as well? Q: Do you expect that Beit Jann will return to the embrace of the homeland [return to government control] soon? A: I hope so, but I don't expect it. Q: Why you don't expect it? Q: It seems that the ground assault is difficult. The land is very elevated. A: This is one of the reasons. Q: What is the monthly salary for a fighter in the Hermon Regiment? A: Varies between 20,000-35,000 Syrian pounds. Q: I see. And a system of 10 days work and 10 days rest approximately? A: 24 hours [of work] for every 72 hours. What is the reason for your interest in the regiment? Q: I will tell you frankly. I saw reports in the West claiming the government does not want Sunnis in the border areas, but of course the presence of the Hermon Regiment shows a lack of credibility to these reports. A: On the contrary the government wants the country to return to what it was before with its multiple and varied mosaic of sects and religions. Q: True. *** Before the crisis what were you doing for work? A: I was a fighter on Syria's team in judo, and I have a club for physical training and body workout, and I was an instructor in a secondary school. Q: When you were in the Soldiers of al-Sham faction what was your role? A: Military commander for the area. Q: And you abandoned the faction only after reconciliation? A: I am the one who led the area to reconciliation and were it not for the will of God- Almighty and Exalted is He- and my presence, there would not have been a reconciliation, because the entire military council was not content with reconciliation. So I led the reconciliation and I was at the head of my work. * Contrary to opposition media claims that the Hermon Regiment is affiliated with the 4th Division, conflating the group with Quwat Ra'ad al-Deirkhabiya, a militia that is in fact affiliated with the 4th Division and reportedly participating in the Mazra'at Beit Jann-Beit Jann campaign. An emblem for Quwat Ra'ad al-Deirkhabiya, which affirms the 4th Division affiliation. ** On taswiyat al-wad': cf. here. *** For my analysis on the issue of demographic change, see here.